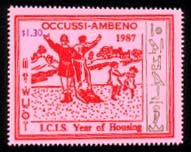 This set commemorates the Housing Year, proclaimed as the cause for the year by the International Council of Independent States (ICIS.). 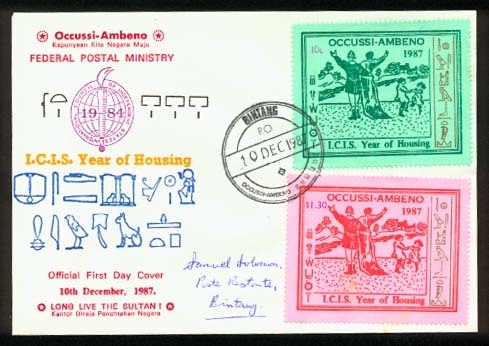 The design is by the Dunedin artist Murray Menzies, and the stamps were printed by letterpress by the Imperial Occussi-Ambeno Government Printing Office (KDPN), Baleksetung. The stamps are perf 12. 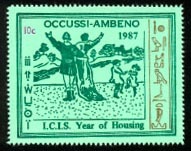 To view the special First Day Cover, click here.